In this post, I will first show an example of a common mistake, and then explain how the equals() and hashCode() contract works. The common mistake is shown in the example below. In the main method, two apples ("green" and "red") are created and put to a HashMap. However, when the map is asked to provide the green apple, the green apple is not found. The program above prints null. We are sure that the green apple is stored in the hashMap when inspecting the HashMap in the debugger. 1) If two objects are equal, then they must have the same hash code. 2) If two objects have the same hash code, they may or may not be equal. The idea behind a Map is to be able to find an object faster than a linear search. Using hashed keys to locate objects is a two-step process. Internally, the HashMap is implemented as an array of Entry objects. Each Entry has a pair and a pointer pointing to the next Entry. The hash code of the key object is the index for addressing the array. This locates the linked list of Entries in that cell of the array. The linked list in the cell is then searched linearly by using equals() to determine if two objects are equal. The default implementation of hashCode() in Object class returns distinct integers for different objects. Therefore, the second apple has a different hash code. The solution is to add the hashCode method to the Apple class. Here I just use the color string's length for demonstration. Yet Another “Java Passes By Reference or By Value”? dude, even after adding the hascode() method it will return null. Test your code please before posting it. This is get so hashcode is called first and there is no implementation for it. HashMap call equals method before putting into it’s bucket and equals method is for content comparison so evenif it’s new Apple(“green”) content wise object is equal and should return the key already adde. Code is perfactly fine. System.out.println(m.get(new Apple(“green”))); You get null since you are creating a new Apple and never stored it into the hashmap. This code seems wrong to me. Here’s the thing; objects get moved around during GC, so two different objects can have the same address — at different points in time. the hash value for a given object is “set” the first time you call the “hashCode()” method. so put it all together and the above statement is categorically false. I have personally seen multiple objects have the same hash value. HashMap is not an array of arrays, Its just one array of Entry objects, and Entry consists of a Key, Value pair. Excuse me ,I am of a question , but I don’t know what is it it’s subject to ask.. I wanna know that when the System.currentTimeMillis() in java will became zero , I mean when it will start again ? I find it tedious to implement equals() and hashCode() by hand. I also see too many mistakes in code in this area. Better to automate this, so I have just released a free open source tool VALJOGen (valjogen.41concepts.com) which can generate your value classes with setters/getters (*), Object.hashCode, Object.equals, Object.toString, Comparable.compareTo and more from plain java interfaces. The generated output can be automatically updated when you change your interfaces – no need to maintain the generated code. Let me know what you think? 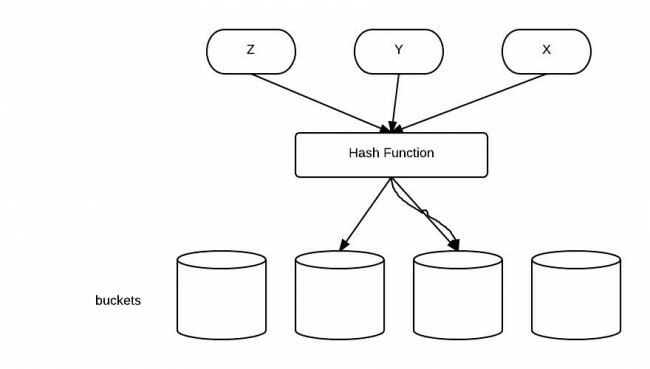 HashMap works on the principle of hashing. In order to understand the working of HashMap one has to understand hashing. You’re welcome. Thanks for the many interesting articles published; I found them very instructive! Right. It is corrected. Thanks! If you execute the code without the hasCode implementation, it won’t even call the equals method. It will check the equals only when you are comparing the objects (using comparator or comparable…) or in the case, when the hashCode is implemented.